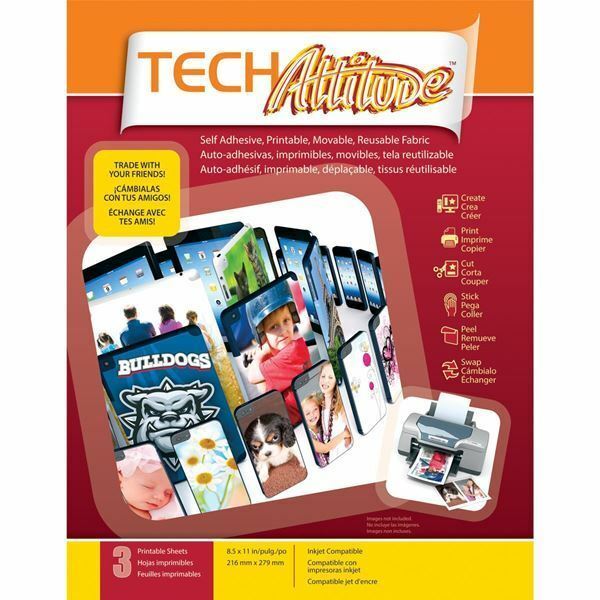 Craft Attitude - Tech Attitude 8.5"X11"
S One Holding-Craft Attitude: Tech. These sheets are self-adhesive, printable, moveable and reusable fabric! Trade images with your friends! It is a fun and easy way to personalize your electronic devices. This package contains three 11x8-1/2 inch printable sheets. Template inside for select Apple devices. Will not damage your Apple device. Conforms to ASTM D 4236. Made in USA.